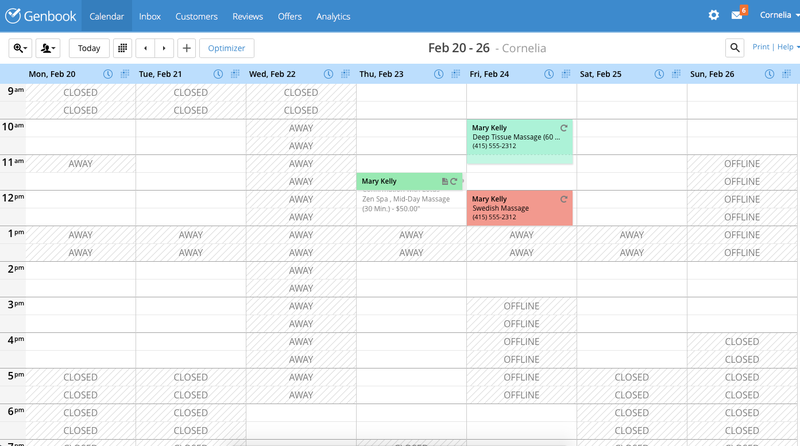 A quick look at your Daily and Weekly calendar Views, and the Small, Medium and Large calendar size options. 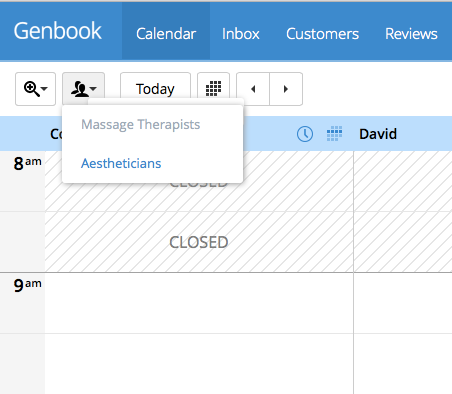 The Genbook Calendar has both a Daily and a Weekly view option. You'll see two icons next to each date when you're in this view. 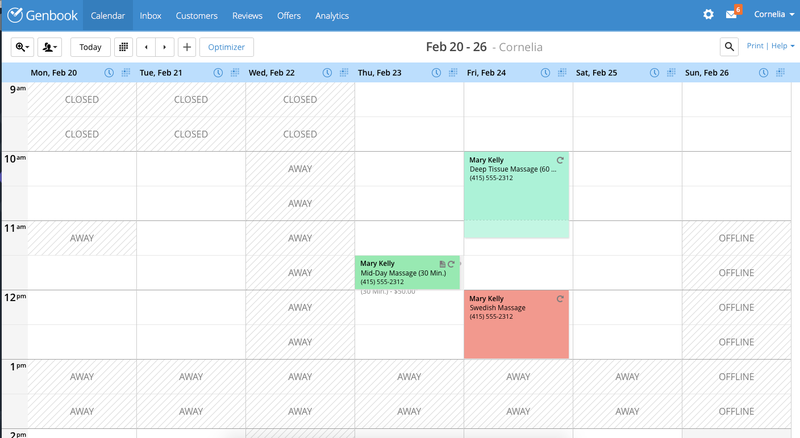 The one that looks like a calendar with one day highlighted, will take you to a day view of the calendar. The icons next to the staff members' names will be the same as those next to the dates in the week view, except now the calendar icon will take you to the week view of a particular staff member's calendar. If you have multiple staff categories, you can select which one to view from the "people" icon to the left of the "Today" button. 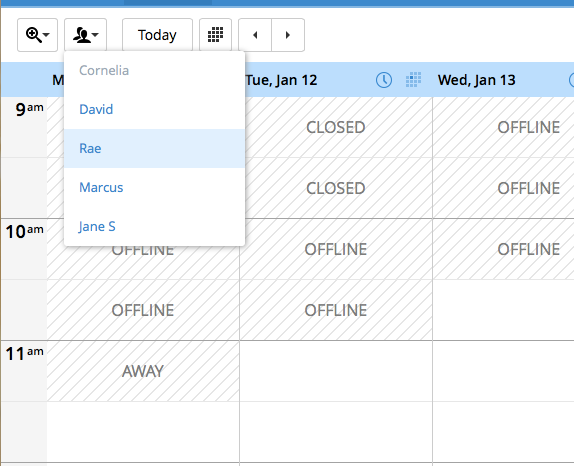 In the Weekly view, that same drop down gives you the option to select different staff members. 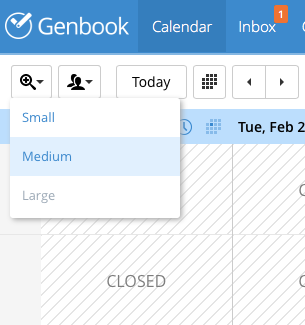 Your Genbook Calendar can also be viewed in various sizes — Small, Medium or Large — in order to give you the most efficient and effortless look at your schedule. 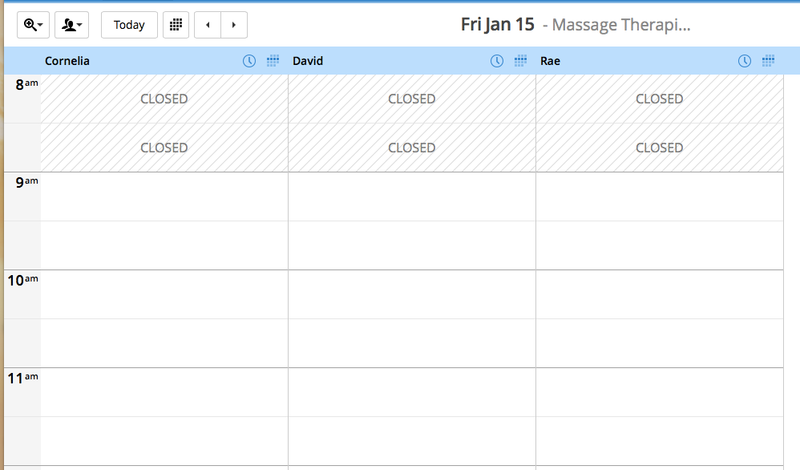 You can select the size from the dropdown menu under the magnifying glass at the top left of the Calendar page. Calendar size affects the height of the calendar, but not the width. Therefore, the Small view will allow you to see later into the day than the other two views. It will also make your appointments look the smallest, so it's not the best view if you're using an especially small computer screen or have trouble seeing. 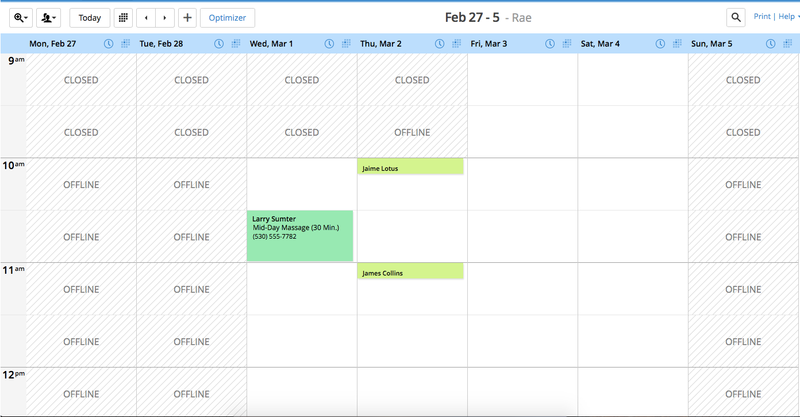 The Large view is best if you have appointments shorter than 15 minutes, since 5 and 10 minute appointments won't be displayed with their full details in anything other than that Large view.